Mumbai Indians Won the Toss and Opt to Bowl!!! Follow Mumbai Indians vs Royal Challengers Bangalore live score and know what is happening on the ground with us. Let’s look at the MI vs RCB previous matches records. Hello, all welcome to the live cricket score IPL 2019 Match 31th Mumbai Indians vs Royal Challengers Bangalore. Catch Indian Premier League MI vs RCB Live Score ball by ball commentary with fast scorecard updates, Results and much more. 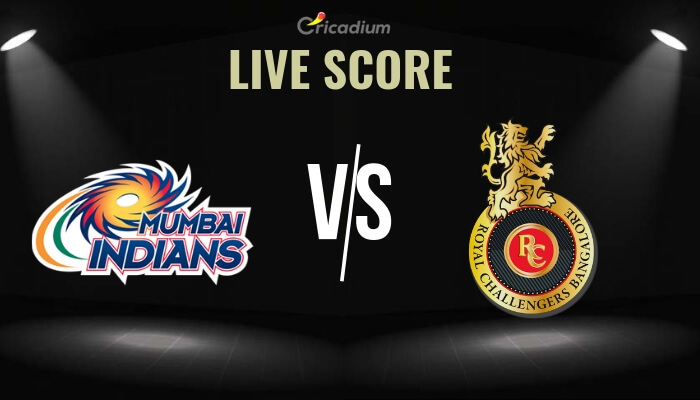 For MI vs RCB Live Score ball by ball commentary stay connected to Cricadium.